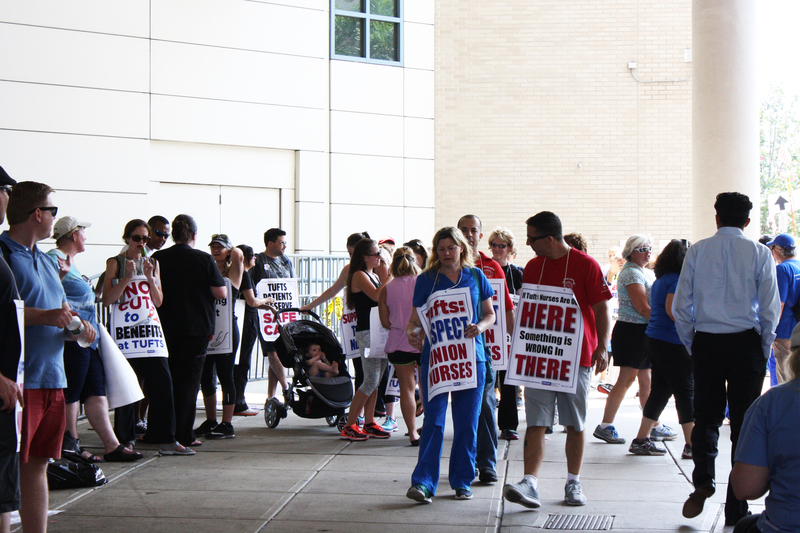 The hospital and its nurses failed to reach a contract agreement. 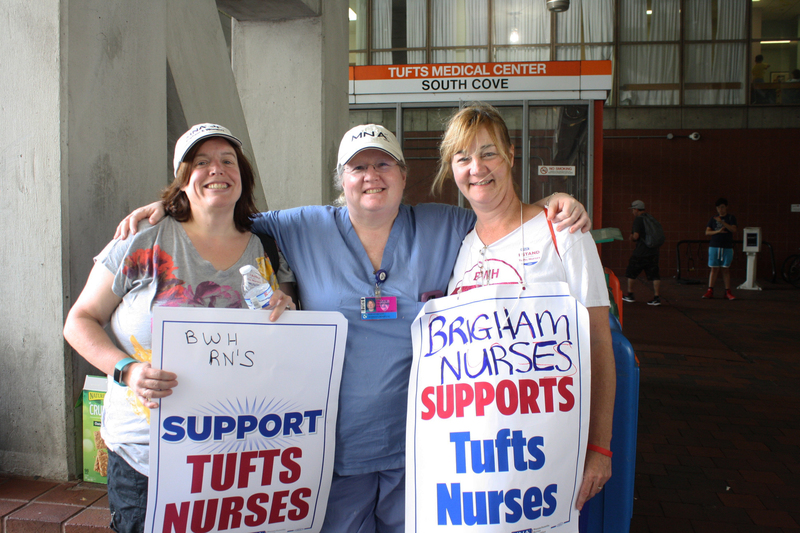 By Jamie Ducharme·	 7/12/2017, 3:34 p.m.
Tufts Medical Center nurses are spending Wednesday on the picket line, as they carry out Boston’s first nursing strike in three decades. 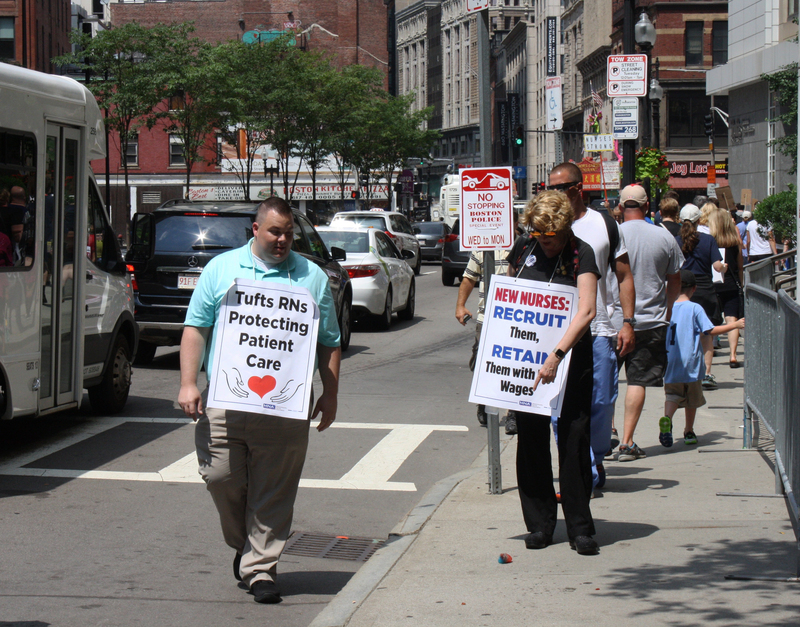 The 1,200 Tufts nurses represented by the Massachusetts Nurses Association (MNA) are striking until 6:59 a.m. on Thursday, due to unresolved complaints over staffing, compensation, and retirement plans. 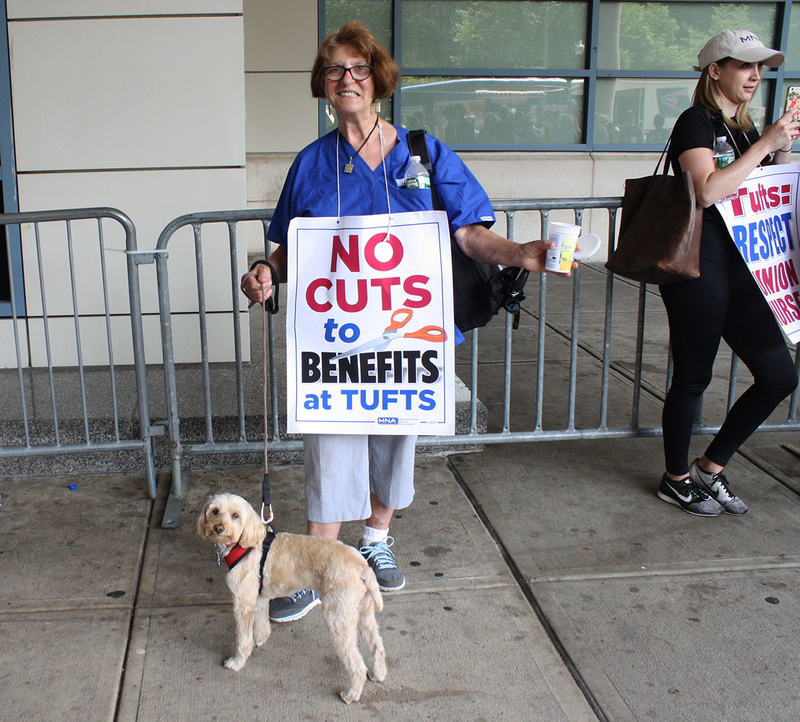 Tufts has also said it will lock out striking nurses for an additional four days, using temporary nurses in the meantime. 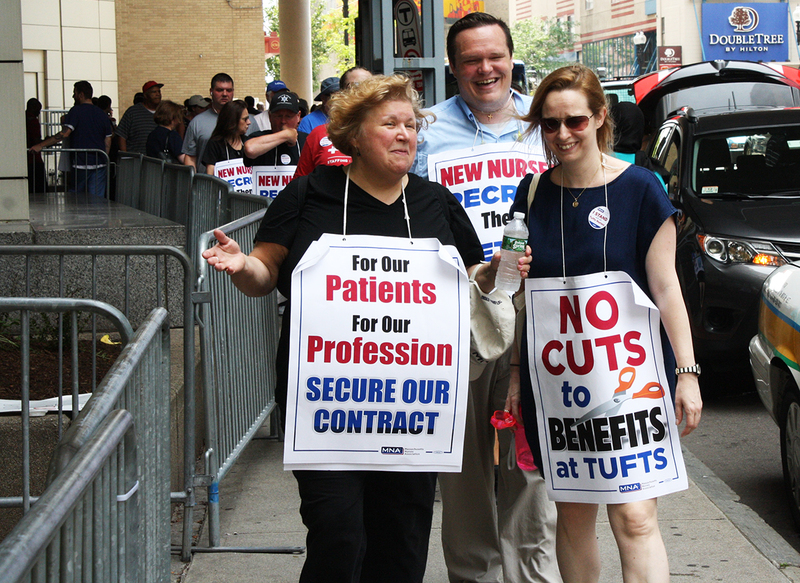 Hours into the strike, chants—”Hey hey, ho ho, unsafe staffing’s got to go!”—and music rang out as nurses from Tufts and other hospitals, politicians, and supporters gathered to show solidarity. 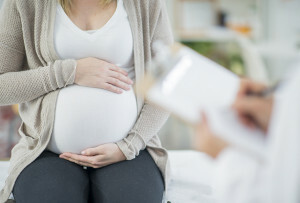 The atmosphere inside the hospital, however, was likely less lively. 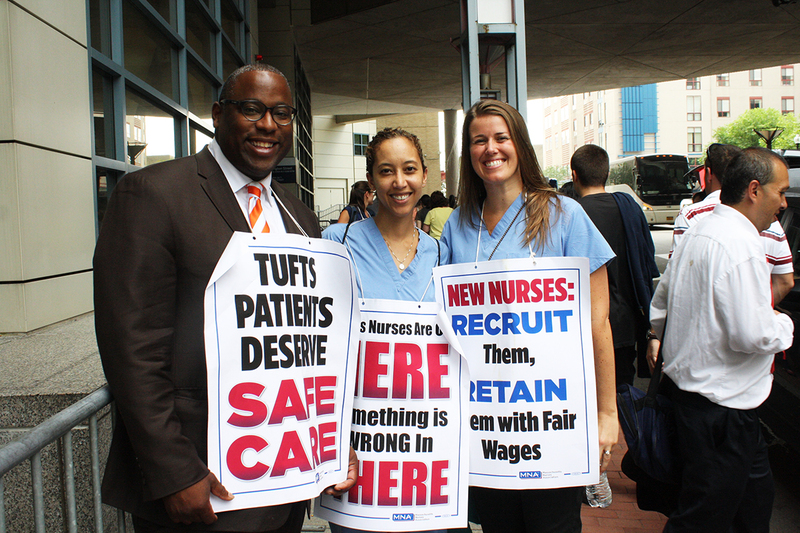 Several hospital officials have spoken out against the strike, including Chief Nursing Officer Terry Hudson-Jinks. 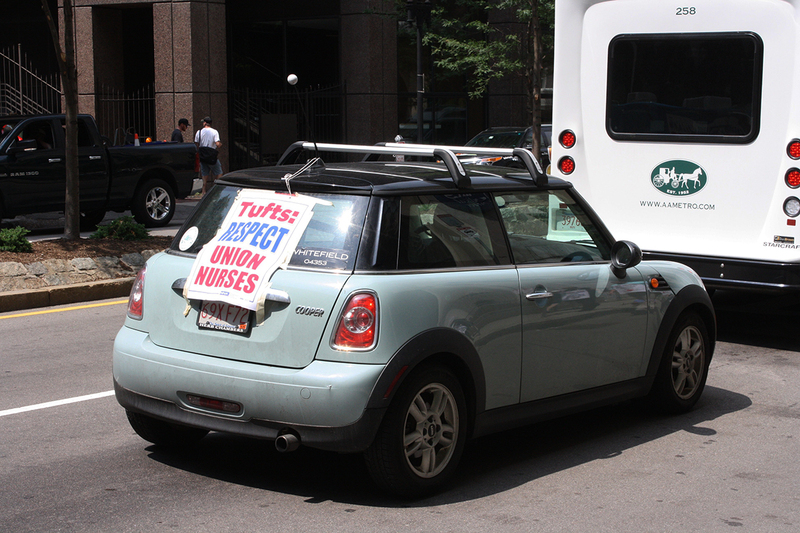 “As a Tufts Medical Center nurse for 32 years, I am deeply and personally disappointed that the MNA has gone forward with a strike that takes our nurses away from the bedside when we have a proposal on the table that gives them more than 27 million in wages, benefits and staffing resources,” she says in a statement.